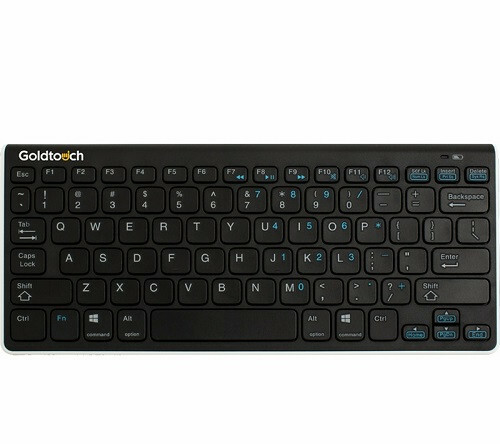 The ultra-portable Goldtouch Bluetooth Mini Keyboard is well-suited for the modern, on-the-go lifestyle. Just slip this thin, lightweight keyboard into your travel bag and bring it with you wherever you go, from the boardroom to the airport—no wires or plugs necessary. 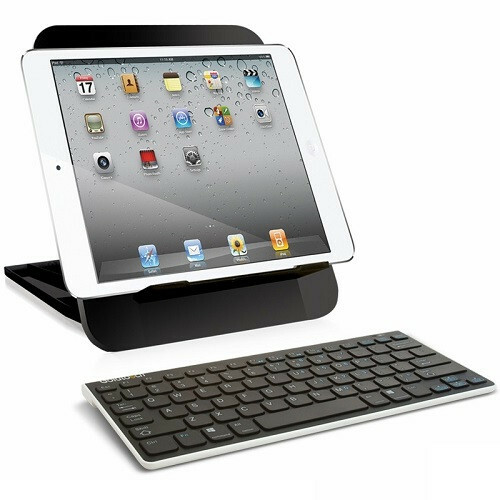 Equipped with Bluetooth wireless technology, this stylish mini keyboard is compatible with the full ecosystem of Mac and PC devices, from your desktop to your notebook, tablet, smart phone and other smart devices. 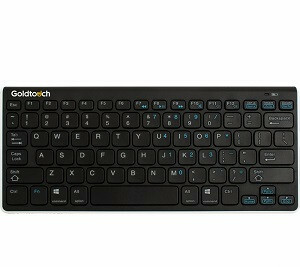 Unlike other travel keyboards, the Goldtouch Wireless Mini Keyboard comes with soft-touch keys that provide the excellent tactile feedback you've come to expect from Goldtouch products. Combine with one of our laptop and tablet stands for a more comfortable work experience, wherever your travel takes you. 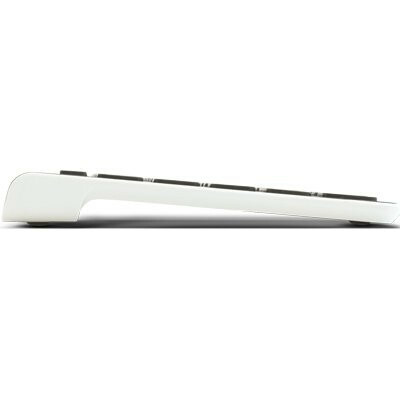 Dimensions: Width: 10 3/8 inches Depth: 4 1/2 inches Height: 5/8 inches Weight: 9 ounces Note, this product does not come with a Bluetooth Dongle Adapter.